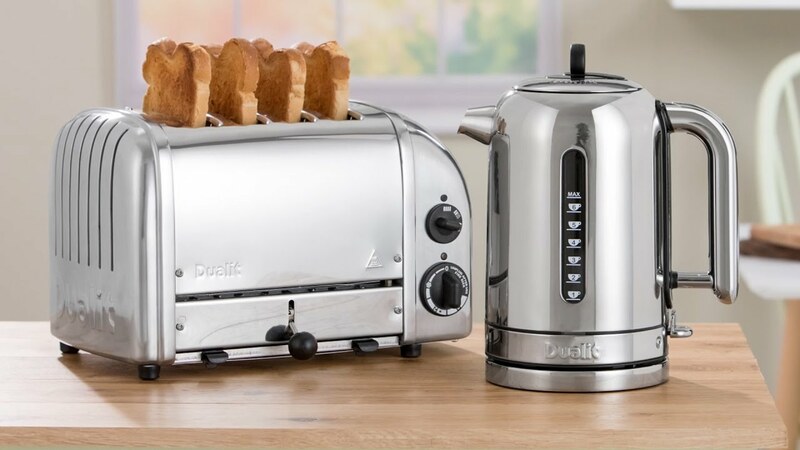 The 4 slice NewGen toaster available in a selection of finishes* is perfect for the whole family, or canteen, and offers all the same functionality as the 2 slice NewGen, with defrost and bagel settings as well as Dualit's classic styling, mechanical timer and ejector lever. The selector control allows you to heat one, two, three or all four slots. *Due to the paint processes used, a colour variation with matching kettles is possible and may not be a 100% match. 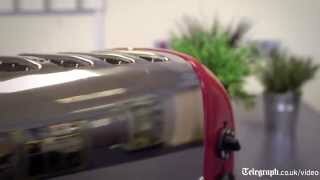 Every NewGen 4 slice toaster is hand built in the UK, with the individual assembler’s mark on the base plate. *Due to the paint processes used, a colour variation on Copper finish products is possible and may not be a 100% match. *Please note: A matching Brass finish Classic kettle is not available. The ProHeat® elements are covered in a sheet of mica for even toasting and to protect the wires during use. DO NOT REMOVE - this will damage the toaster. 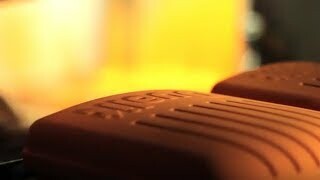 Due to the unique design of the Dualit element it may not be apparent that the elements are 'glowing red.' This is perfectly normal and does not mean your toaster is faulty. 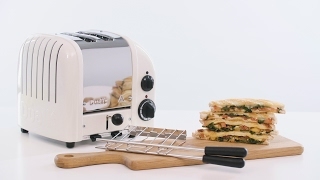 A great classic base to start creating your perfect toastie.